Cannabis prohibition has led to a brutal black market. Sometimes this market benefits an average Joe just looking to get by, and to us that’s fine, but behind the curtains it vastly benefits criminal organizations, handing them a method of financial empowerment. This fuels violent crime throughout the country, and world. Many of the most dangerous criminal syndicates get a majority of their profit from the illegal cannabis market. In a state where hash can get you life in prison, movement is being made to decrease the punishment associated with simple cannabis possession. charges are guaranteed felonies that come with a jail sentence of 2-10 years. The measure approved today, by a vote of 14-0, would change this so that someone’s first and second possession charge is a misdemeanor, with a maximum sentence of 1 year. House Bill 1835, now moves towards a full house vote. Voters in California support legalizing cannabis by double-digit margins, according to a new California Field Poll released today. 54% are in support, while 43% oppose. The poll also found that 67% oppose ongoing crackdowns of medical dispensaries by the state’s four U.S. attorneys. 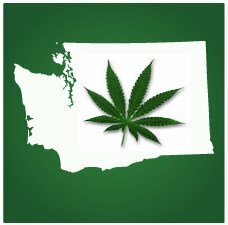 These results are sure to be seen as encouraging to advocates in the state, some of which will begin collecting signatures in May, attempting to get a legalization initiative on the 2014 ballot. Alliance held a press conference to discuss recent legislation moving forward in New Mexico, as well as new polling they released today that shows a strong majority of New Mexico residents support reform. According to the polling, conducted by the firm Research & Polling, Inc., 52% in the state support legalizing and taxing cannabis, with only 40% in opposition. The polling also found that an additional 5% were in support of reducing penalties for possession. 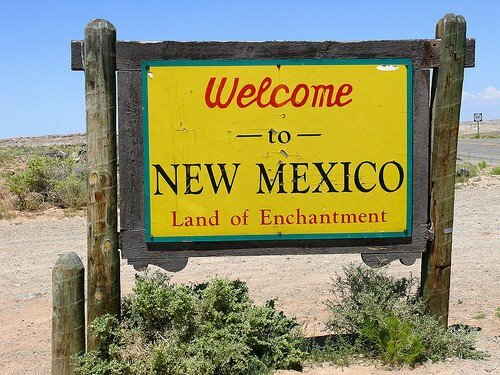 Coming on the heals of polling released that shows 57% of New Mexico residents support decriminalizing cannabis, the state’s House Committee on Consumer and Public Affairs approved a measure doing just that, with a vote of 3-2. Possession of up to an ounce would be a $50 fine. Possession of one to four ounces would be an $100 fine. 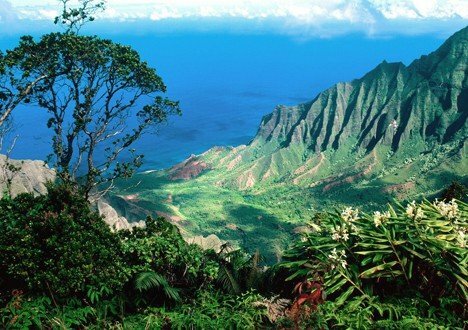 Hawaii Senate Bill 472 would make possession of up to an ounce of cannabis a civil infraction. Today Hawaii’s Senate Judiciary Committee approved Senate Bill 472, which would decriminalize cannabis possession in the state. The vote was 5-0. Under this measure, possession of up to an ounce would no longer be an arrestable misdemeanor offense, and instead would become a civil infraction of $1,000. The measure is sponsored by 13 of the state’s 25 senators, guaranteeing its passage in the Senate. Hawaii’s House is moving forward with a companion measure. It’s almost hard to believe when you consider how strong prohibition continues in most parts of the country, but 27 states in the U.S. have either decriminalized cannabis possession, legalized possession and state-licensed retail sales, legalized cannabis for medicinal purposes, or a combination of the three. 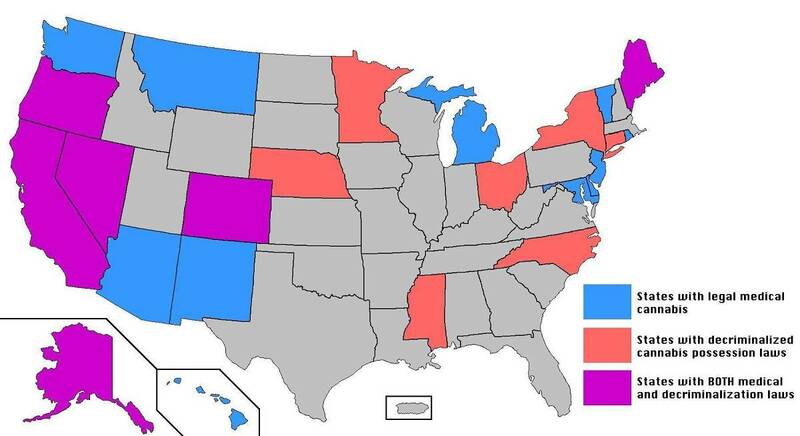 A breakdown of states that have decriminalized cannabis or legalized it for medical purposes. 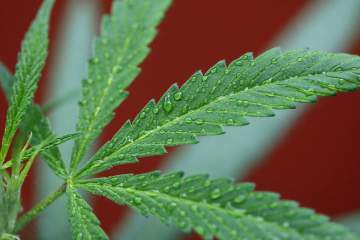 House Bill 3371 would legalize cannabis in Oregon. House Bill 3371, introduced this week by Oregon’s Committee on Revenue, would legalize cannabis for adults 21 and older. If it were to become law, possession of up to 24 ounces of dried cannabis, and the home-growing of up to 6 plants, would no longer be a crime. In addition, the Oregon Liquor Commission would be tasked with regulations and tax collection for retail cannabis outlets that would sell cannabis to adults. 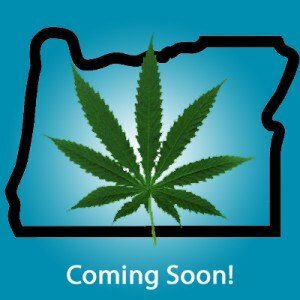 This past November Oregon voters voted down Measure 80 which would have legalized cannabis in a different fashion. The initiative, however, garnered 48% of the vote, which was higher than polling indicated, and made a big statement that legalization was on the way. House Bill 3371 comes at the perfect time, as people begin to realize that cannabis legalization is an inevitability. te’s Rules Committee, where it’s expected to get scheduled for a full House vote. Its passage would send it to the Senate, where they would have the option of putting it in front of the governor to be signed into law. The sponsor of the measure, State Rep. Fitzgibbon, has stated that its chances are “really good” it will pass the House. If the bill becomes law, thousands in Washington State with a cannabis possession misdemeanor would be allowed to clear their record of the charge, instantly reopening closed doors and opportunities. New polling shows that a vast majority of those in Florida, 70%, support legalizing medical cannabis. Only 24% are opposed. The poll, released today and conducted by the firm Hamilton Campaigns, found that even Republicans had 56% support for such a change. 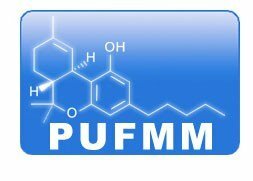 People United for Medical Marijuana. 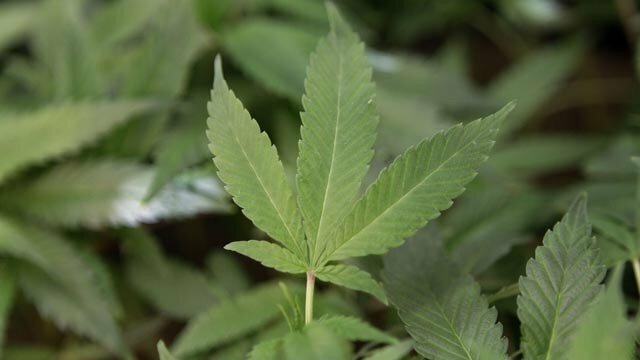 These numbers are sure to be a huge boost to continuing efforts by People United for Medical Marijuana, an organization collecting signatures for a constitutional amendment to legalize medical marijuana in Florida. They’ve collected around 100,000 signatures thus far, though have to reach roughly 683,000 to qualify for the ballot.